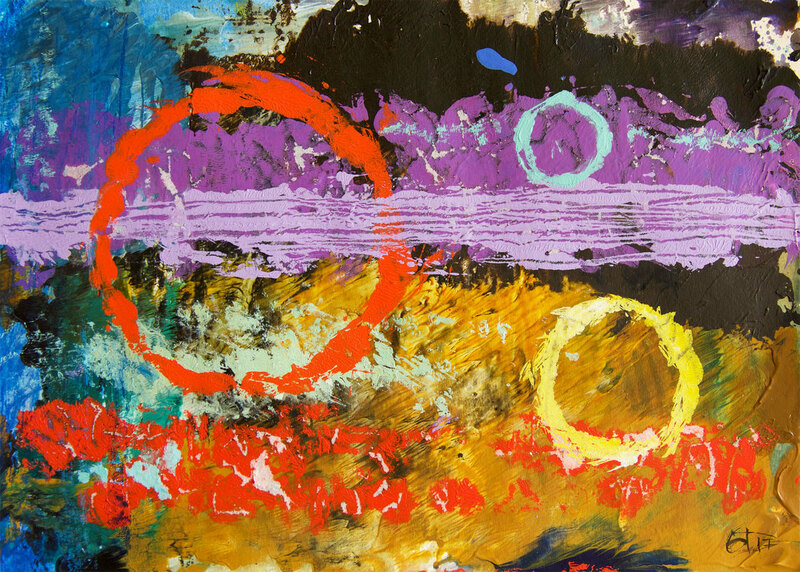 Titled "Solar Signal" this 12" (30.48 cm) x 9" (22.86 cm) original acrylic monoprint is the third and final print in the Solar Eclipse series. Rings of red, light yellow and light aqua green-blue hover in space with bold colours supporting them, and, implying the energetic surroundings and solar expressions. The image goes right to the edge of the paper and it is signed in the lower right hand area. Done in professional artist Golden and Winsor & Newton acrylic paints.